LineDance The Series, begins with the story of a single mom who gives up a successful career and city lifestyle to help her ailing mother. Sacrificing her way of life, Billie decides that the best support she can offer would come from her mother's close family and friends, and so they return to their roots - a small town where her mother grew up and Billie lived until she was a young teen. While her mom settles back into life, Billie struggles to fit in until a chance encounter with a line dancer at a local bar. Billies' outlook on life will soon change. and LineDance will become a passion and her life path will move in a direction she would never have anticipated. LineDance is loosely based on events that took place in a small rural community somewhere in North America. For the first time in history, you can be a part of every episode of a television series. Each episode of LineDance The Series will feature an original new line dance or country and western style dance that will be available for download in the form of a step-sheets as well as a teach and demonstration video. 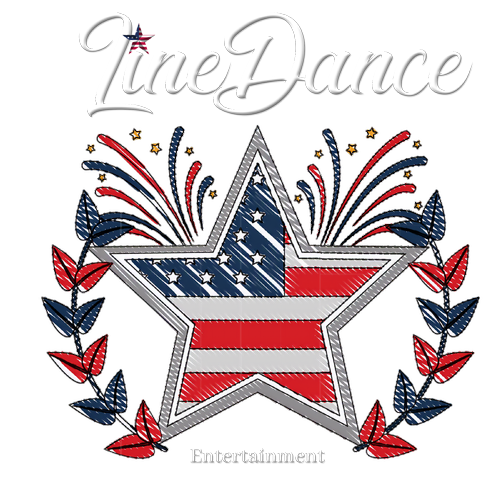 At LineDance Entertainment, our mission for LineDance The Series and it's subsidiary brands are to cultivate, nurture and grow the country music and country and western styles of dancing by providing creative opportunities, showcasing talent and celebrating arts at a global capacity. Our goal is provide musicians, dancers, actors, singers and choreographers an avenue to promote their art in front of a global audience. We will be featuring original music and choreographed dances throughout the series. LineDance The Series is currently in the early stages of pre-production. The series launch is tentatively scheduled for late 2019, with the pilot slated to shoot in the Spring. Make sure you sign up to our newsletter for all the latest developments on the series and from LineDance Entertainment.